Located in La Paz County in the western part of Arizona, Quartzsite is an interesting little town with a unique charm. Home to just 3,600 permanent residents, this town is known as 'The Rock Capital of the World' for its many gem and mineral shows. It's a hugely popular destination for RV enthusiasts, having developed a reputation over the years as one of the top spots to check out on RV tours of Arizona, and it's an excellent place to meet other RV owners and forge long lasting new friendships. The town hosts no less than nine major gem and mineral shows each year, along with many more swap meet shows, leading to annual tourist numbers of more than one and a half million people, with the vast majority of those visitors traveling in RVs. 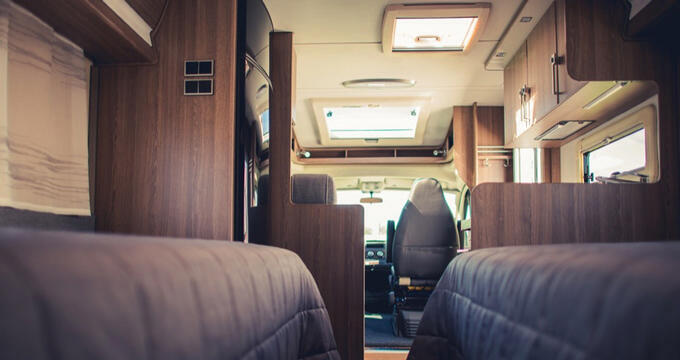 In short, if you own an RV and like to travel around the country to see some of the best RV spots the United States has to offer, Quartzsite is without a doubt a must-visit location. Due to its RV-influenced culture and history, the town is home to many great RV parks and campgrounds. Read on to learn all about the best RV parks in Quartzsite, including names and contact info for each RV park and full overviews to let you know all about the unique features and amenities that help to make each site special. By far one of the best rated RV parks in all of Quartzsite, AZ, the Quail Run RV Park sits in the northern side of the city and offers key access to all the important areas and locations for shows, swap meets, and more. Beloved by RV enthusiasts of all ages, this RV park offers affordable rates, beginning at just $35 per night for full hook-up sites. You can enjoy a discount if you're a member of the Good Sam Club, and you'll also be able to enjoy great savings if you stay for longer periods of time, with weekly rates of just $190 and monthly rates of only $325 in the winter or $162 and £275 in the summer. Quail Run RV Park is ranked as one of the very best RV parks in the entire Quartzsite area. It features over 160 individual RV sites fitted out with all the services and utilities you'd expect: 20/30/50 amp power, sewer, and city water. The park is laid out with paved streets and concrete patios, and it also features a huge clubhouse with a library, communal kitchen area, high speed internet Wi-Fi hotspots, clean restrooms, hot showers, and coin operated laundry machines too. Lots of fun activities are organized at this Quartzsite RV park to keep everyone entertained including fitness sessions, holiday parties, card games, and movie nights. If you're looking for a great value RV park in Quartzsite, AZ with affordable rates, excellent amenities, and warm welcomes for every single guest, the 88 Shades RV Park could be the perfect option for you. This RV park has received countless 4 and 5 star reviews from past guests, and is held in very high regard by RV enthusiasts for the cleanliness of its facilities and the high standards of care provided by its staff. In terms of value, there are few better options available than 88 Shades RV Park, with daily rates beginning at just $29! You can enjoy a weekly stay here for only $175, and monthly rates at this Quartzsite RV park begin at just $275. 88 Shades RV Park also offers various special offers like the 'Snowbird Special' in which you can get a six month stay for a vastly reduced price of only $1,095, saving hundreds of dollars in the process. On-site amenities at this family-oriented Quartzsite RV park include a large rec hall with all sorts of organized fun and games throughout the year, a library with lots of books to enjoy, shuffleboard courts, an RV washing station, an oil change station, propane sals, a dog walk area and an off-leash pet zone, as well as restrooms and more. If location is what matters the most to you when it comes to choosing an RV park, the American Trails RV Park could be the right one in Quartzsite, AZ. Quartzsite is only a little town, but it's still useful to be in the center of the city if you want to attend the various swap meets and make use of the town's facilities, and the American Trails RV Park is in a prime spot for easy access to all the local sites of interest. This RV park features big rig friendly sites with 50-amp power and all of the typical services you'd expect. The rates at American Trails RV Park are very low. In fact, this is one of the cheapest RV parks in Quartzsite, with daily rates of only $25, weekly rates of just $100, and minimum monthly rates at the shockingly low price of just $180. There are also various specials and deals to be enjoyed throughout the year at this 55+ RV community, helping you to save even more cash. Lots of activities are organized at American Trails RV Park each day, including breakfast treats and fitness sessions in the mornings, arts and crafts events in the afternoons, and lots of fun games in the evenings like bingo, billiards, horseshoes, and more.